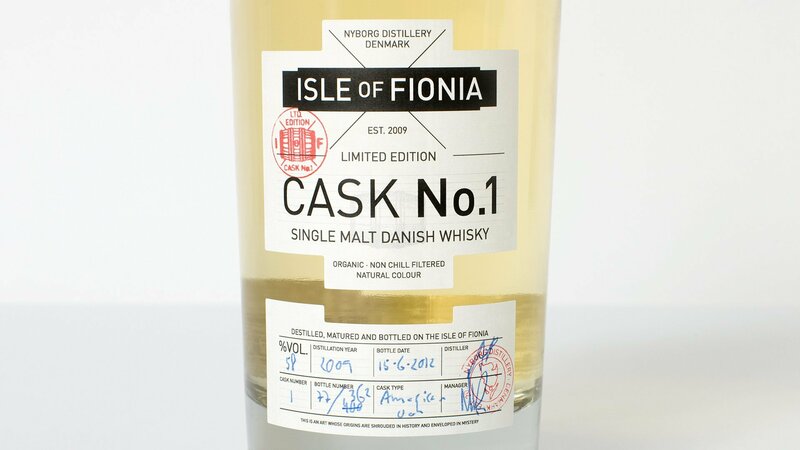 Isle of Fionia – Cask No. 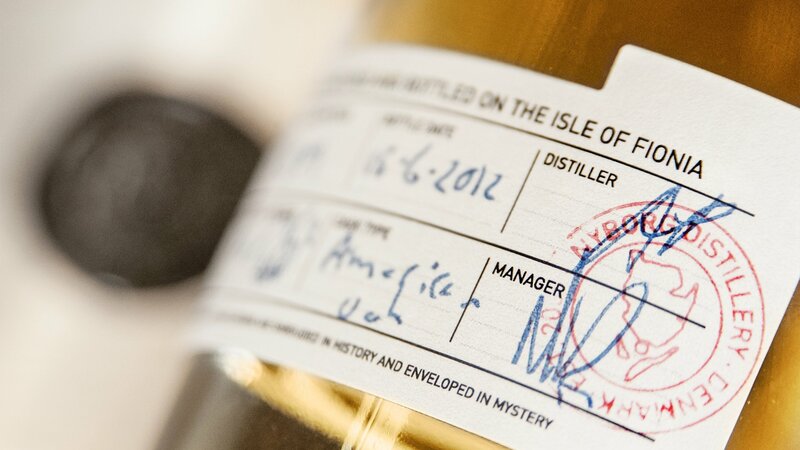 1 is the very first cask of fine, organic single malt whisky ever distilled at Nyborg Distillery. Cask No. 1 is an exclusive collector’s item, only produced in a limited and numbered edition of 362 bottles. It is handmade with pure, natural, and organic ingredients, great craftsmanship, and lots of patience. 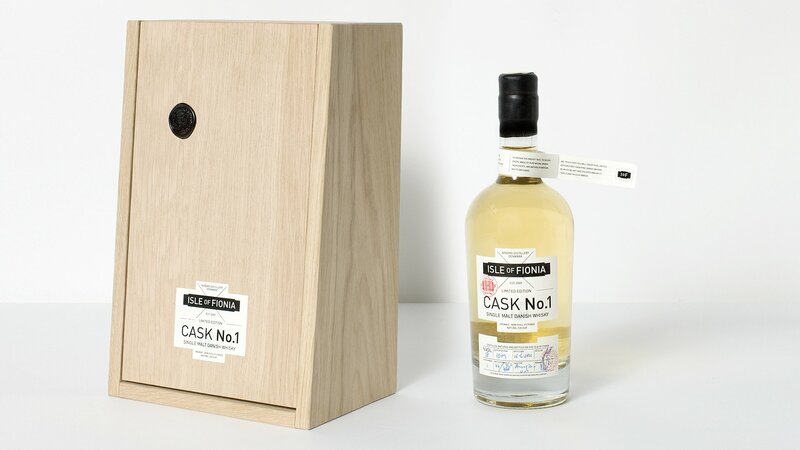 Clearly the design of the whisky bottle should represent the craftsmanship and affection of the product, Isle of Fionia – Cask No. 1. 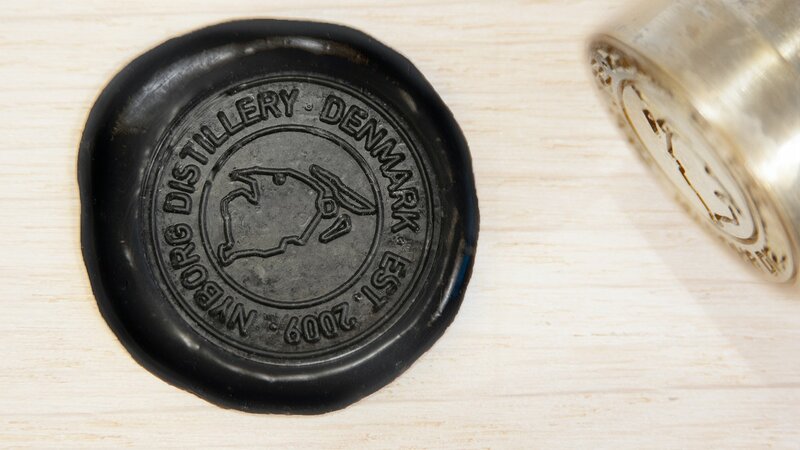 LOOP Associates implemented raw elements like wax seals, ink-stamps and handwritten numbering into the design of the bottle – making every bottle a unique item. 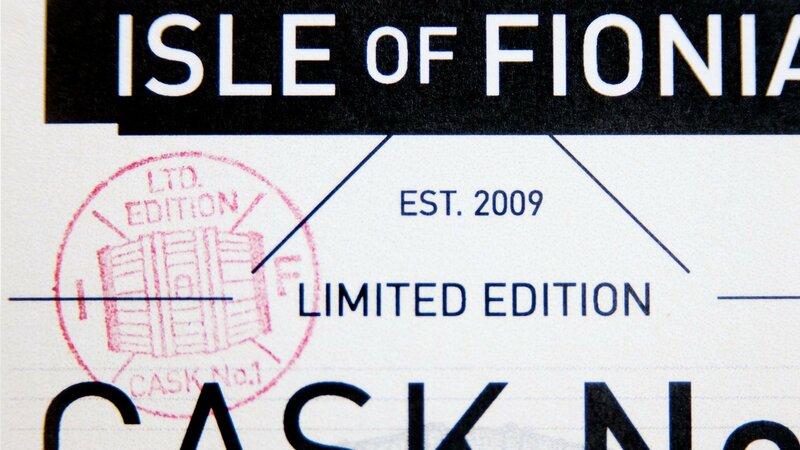 The Isle of Fionia – Cask No. 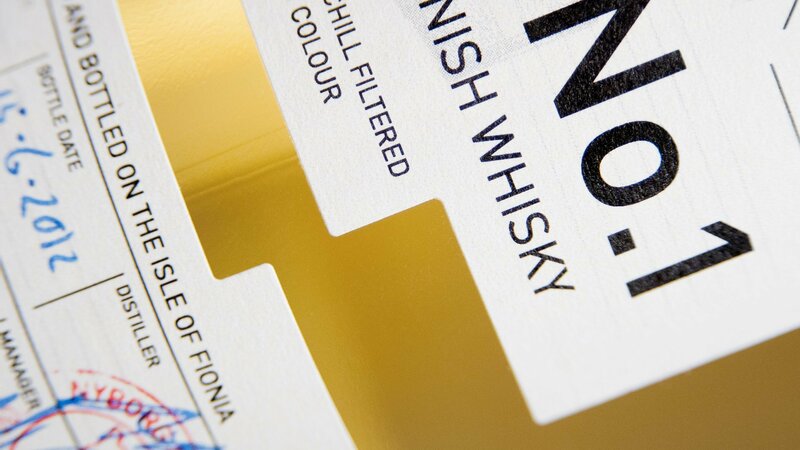 1 label design is a modern interpretation of the classic whisky look, and the bold choice of splitting the label in two makes the whisky bottle stand out. The crosses symbolise the geographic location of Nyborg Distillery, which is situated on the island of Funen (Fionia) in the centre of Denmark.